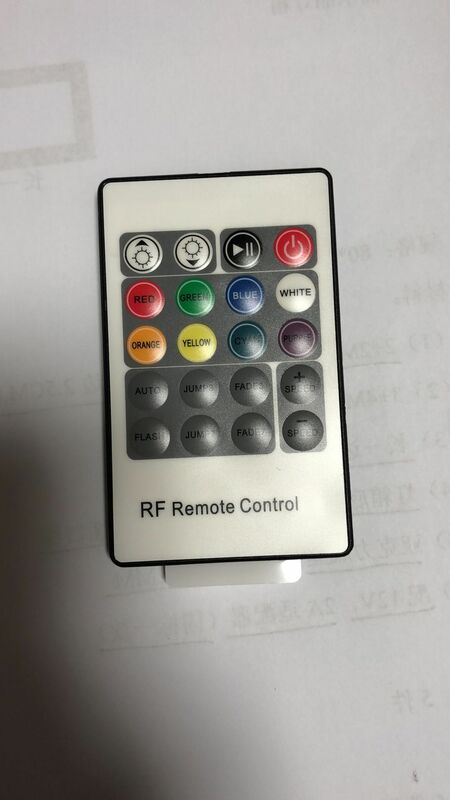 With the remote control that comes with the product you can select 8 different no flashing background colors and also 8 different flashing modes with changing frame colors, that you are able to set the time of switching between frame colors. 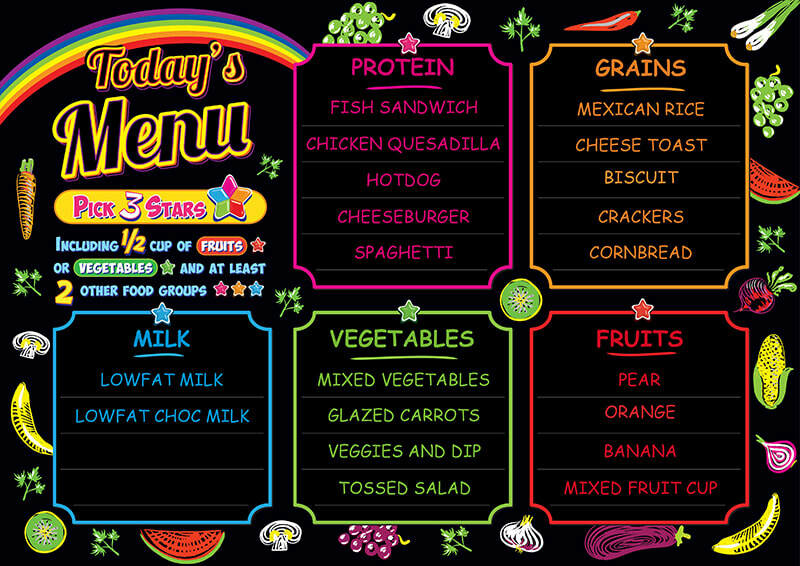 Each Board comes with one daily menu print per you school district's menu cycle. 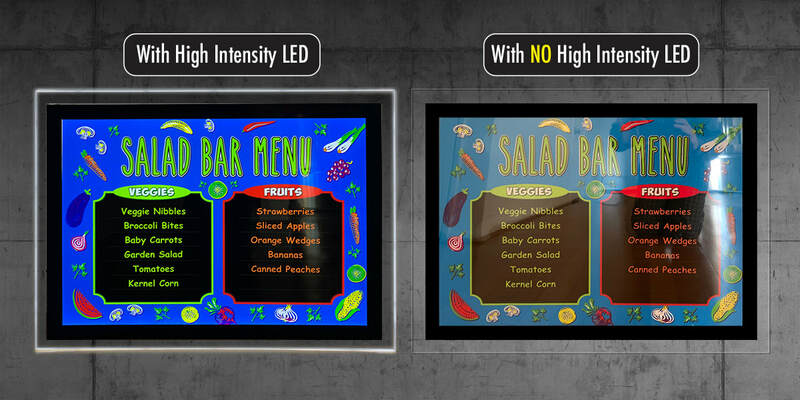 Each boards come with an RF remote control to allow switching between color and flashing modes of the frame of the board. 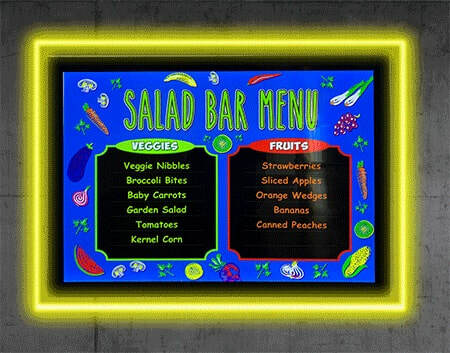 The Menu area itself is very bright using high intensity LED not flashing and is not flashing. 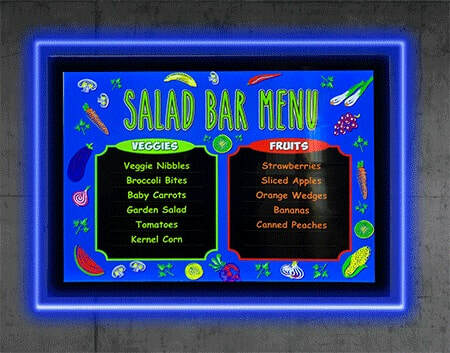 Our High Intensity LED Printed Menu Boards can be Wall mounted, On-The-Counter, Inside various floor stand - with and without wheel, and ceiling mounted behind serving windows. 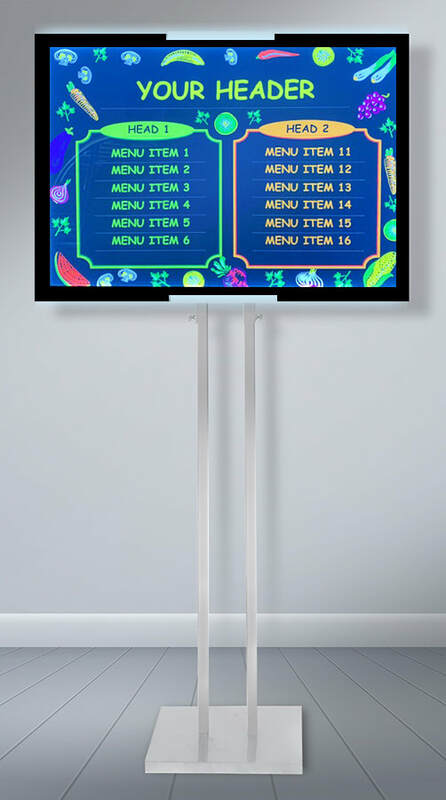 Optional operation with rechargeable batteries. A2 - 17" x 24"
A1 - 24 "x 33.5"
An On/Off switch on any menu board. 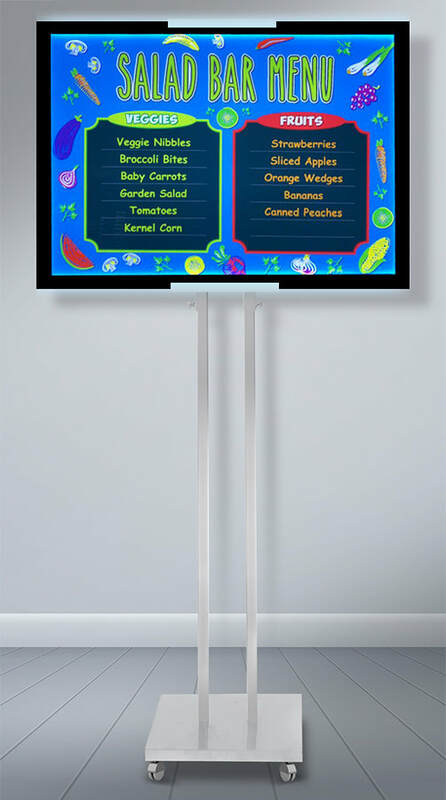 Bellow is a first group of templates - more are coming soon as well as new floor stands with LED Printed Menu Boards. 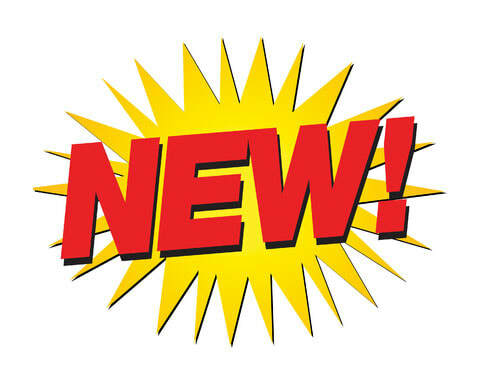 Download a sample acrobat pro file, Test it out! 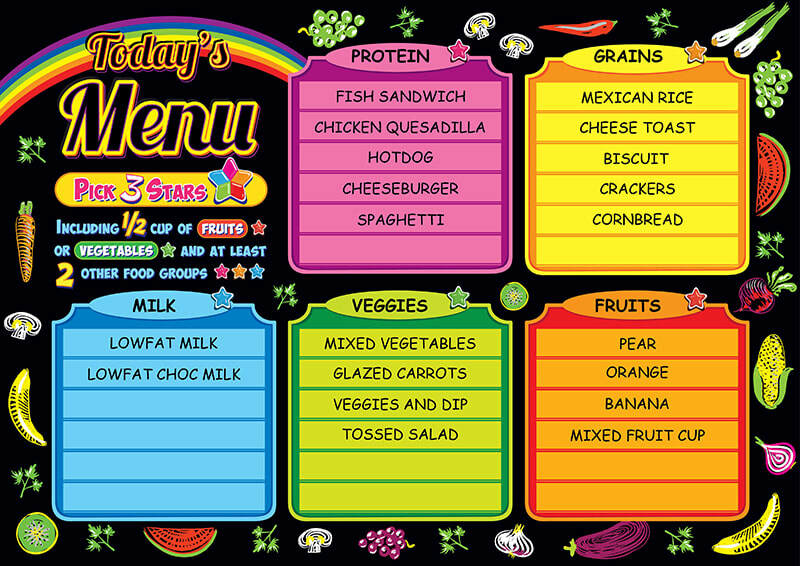 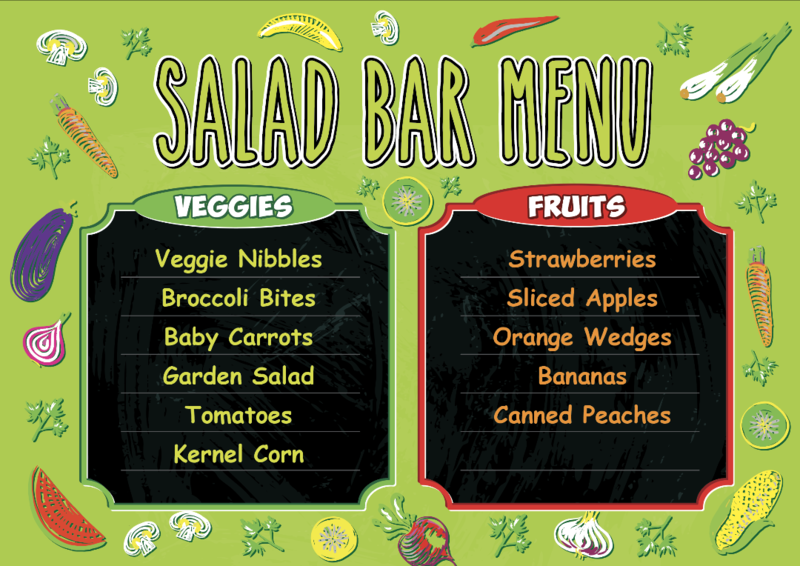 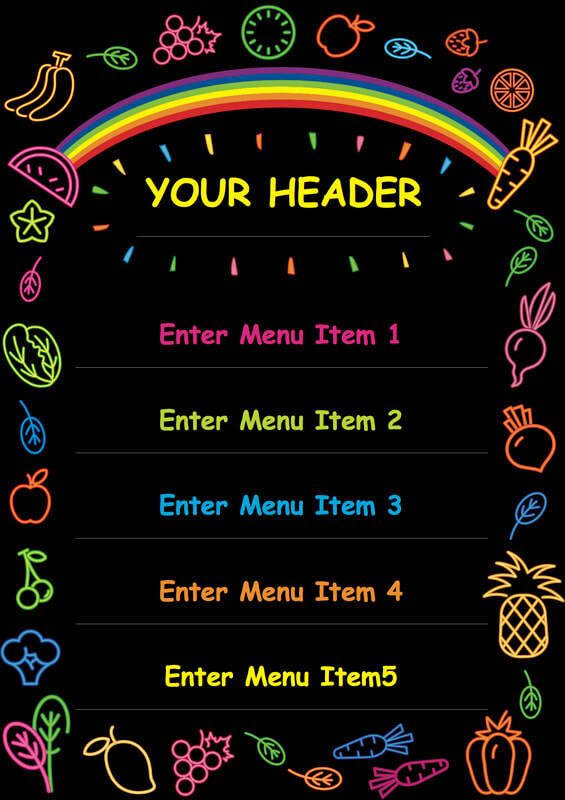 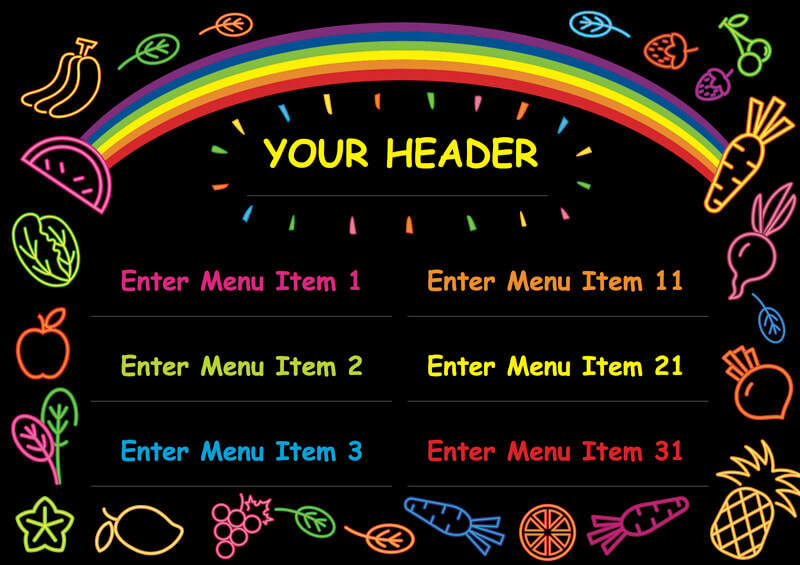 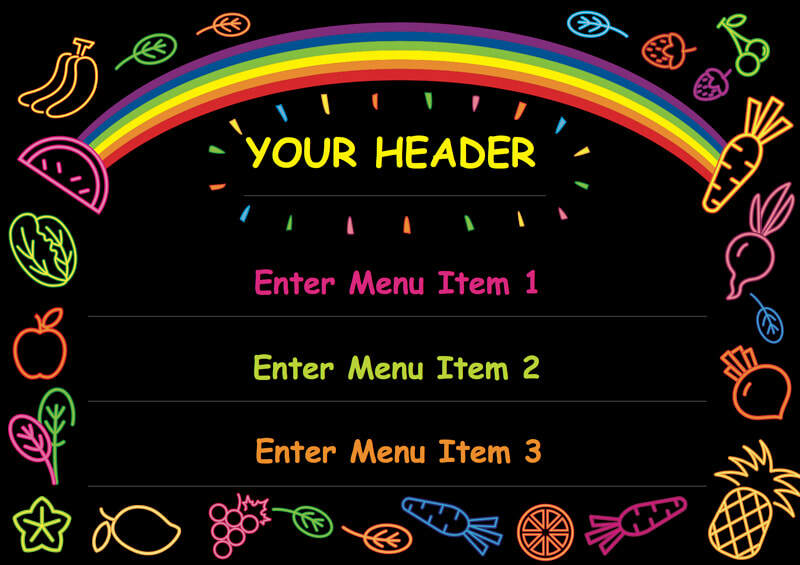 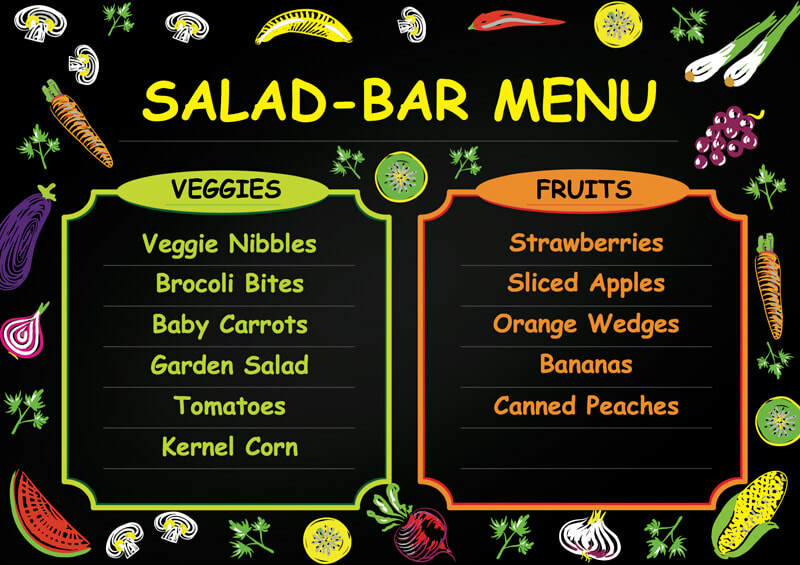 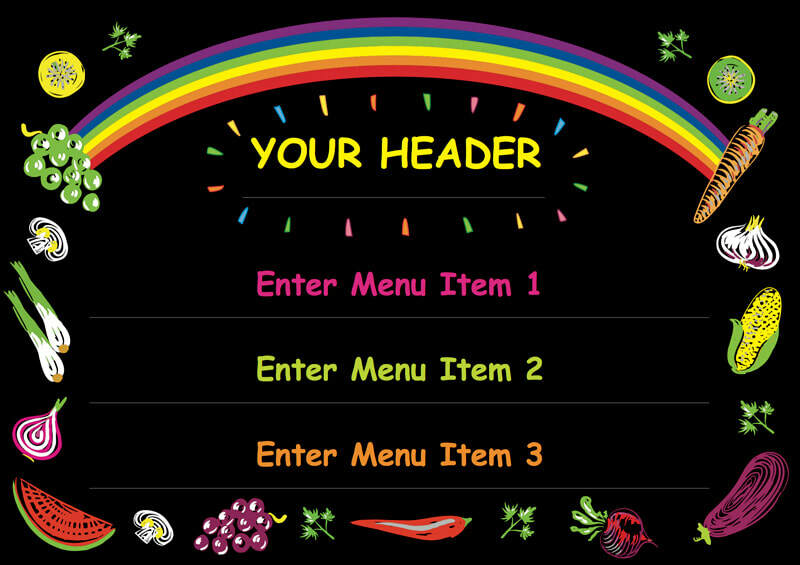 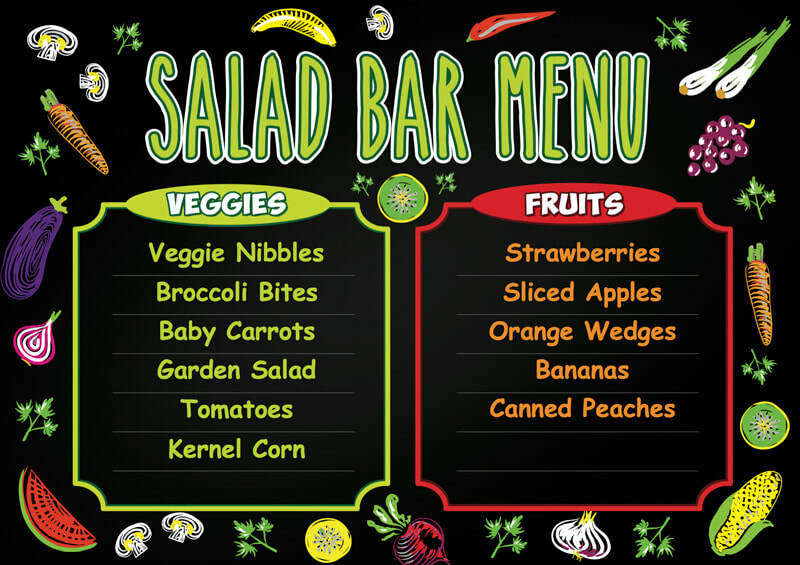 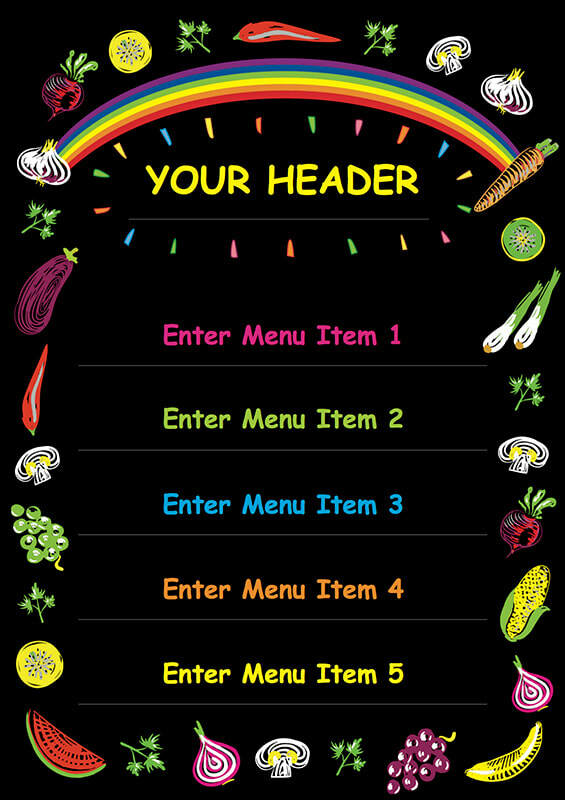 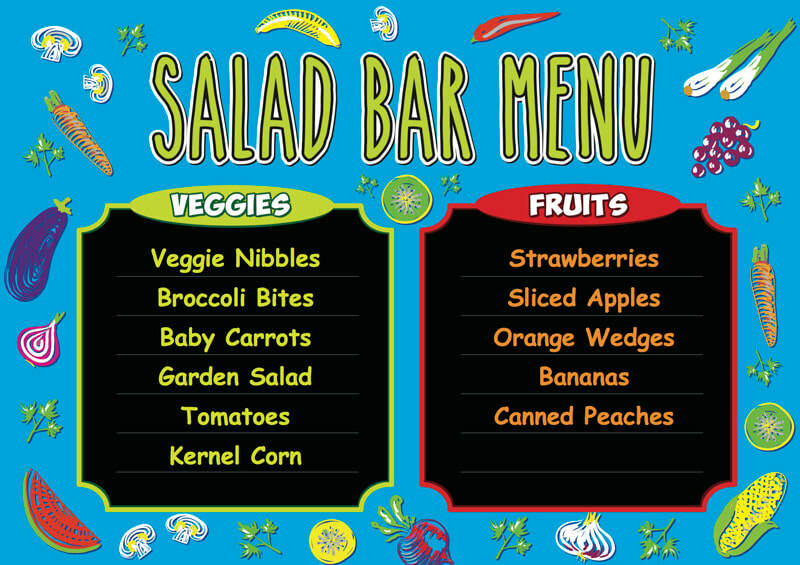 Each Board comes with one daily menu print per each day of your school district's menu cycle. 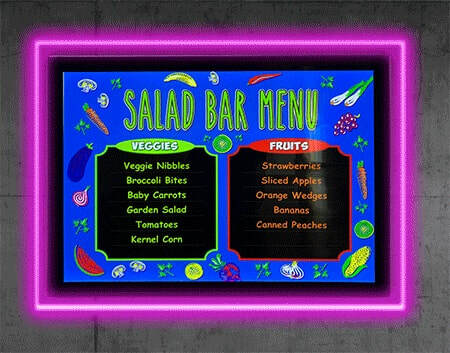 Sizes available : A4 - 9"x13.5" ; A3 - 12 "x18"; A2 - 18"x24" ; A1 - 24"x36"